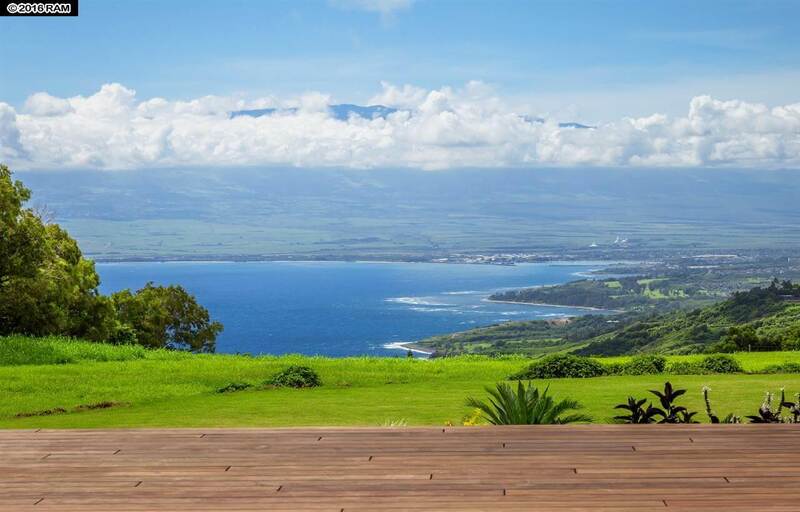 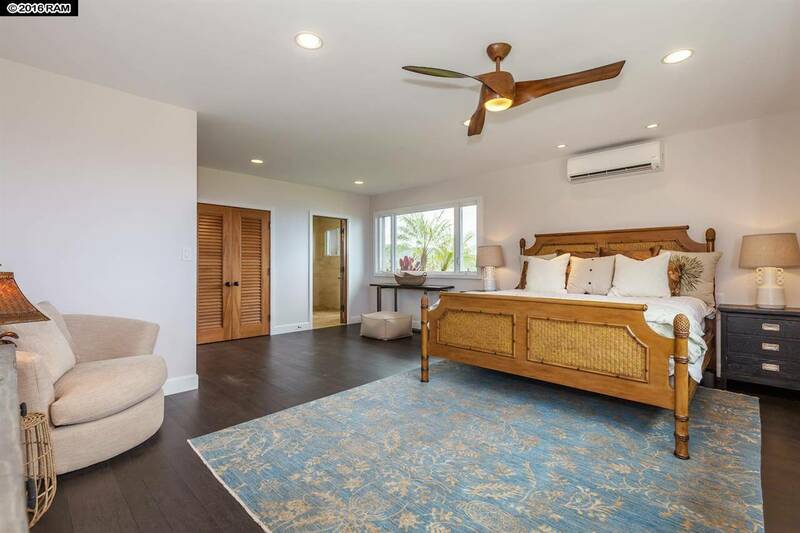 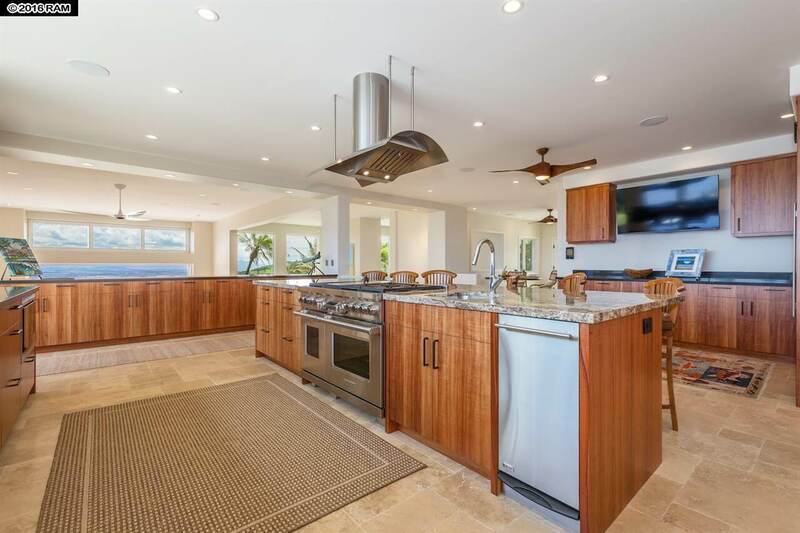 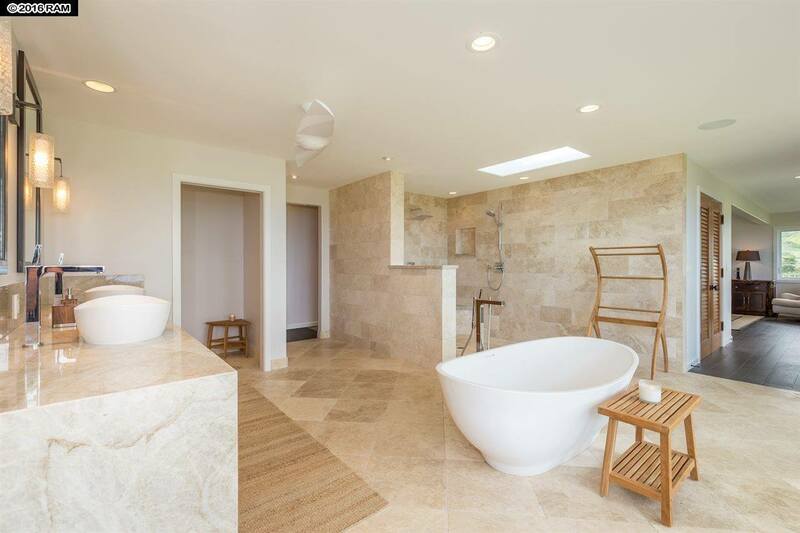 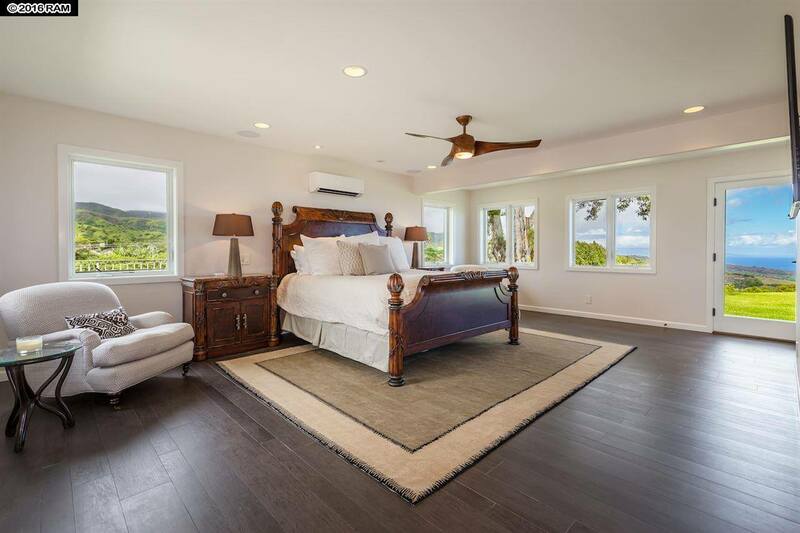 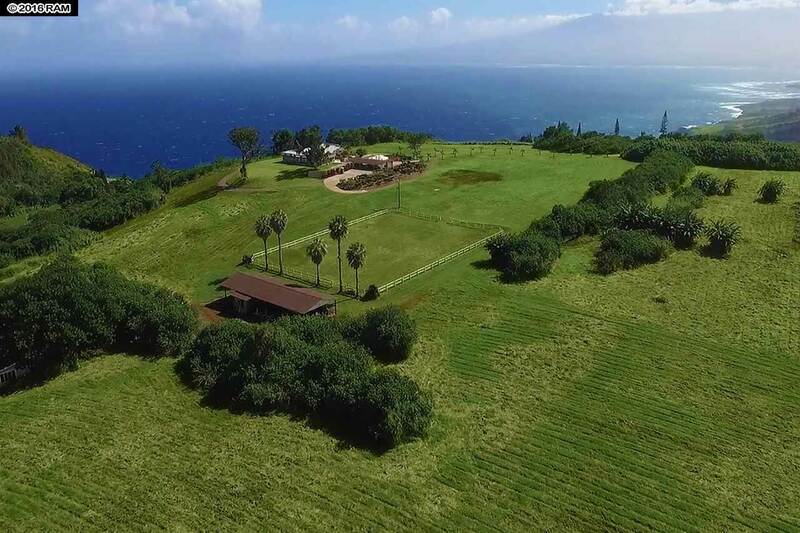 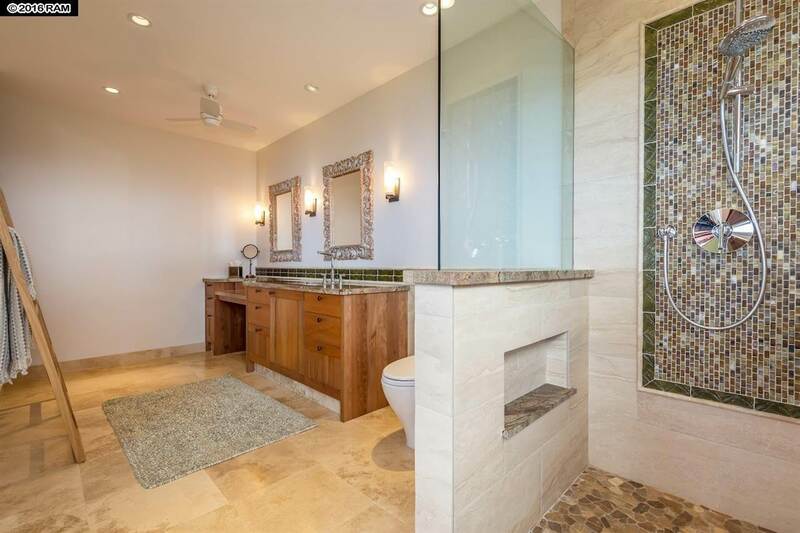 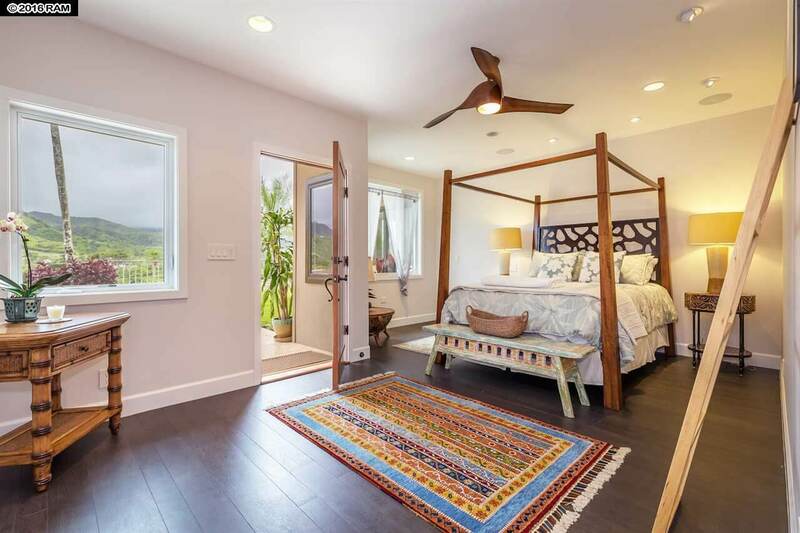 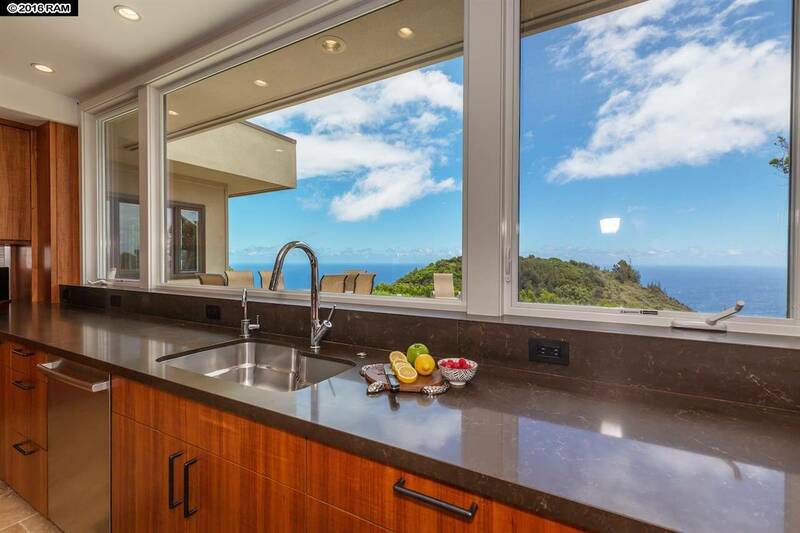 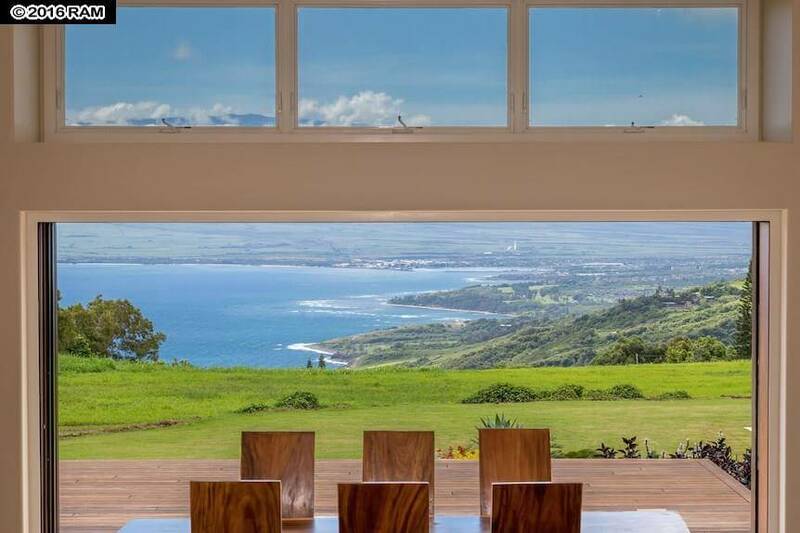 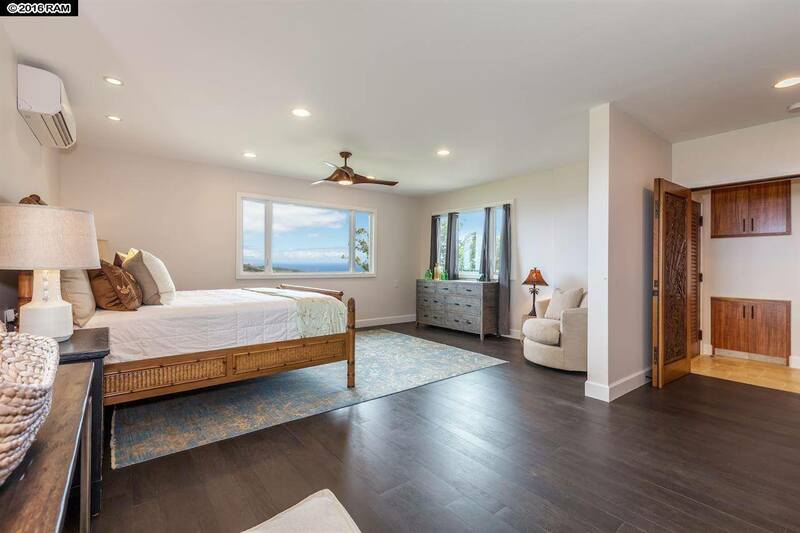 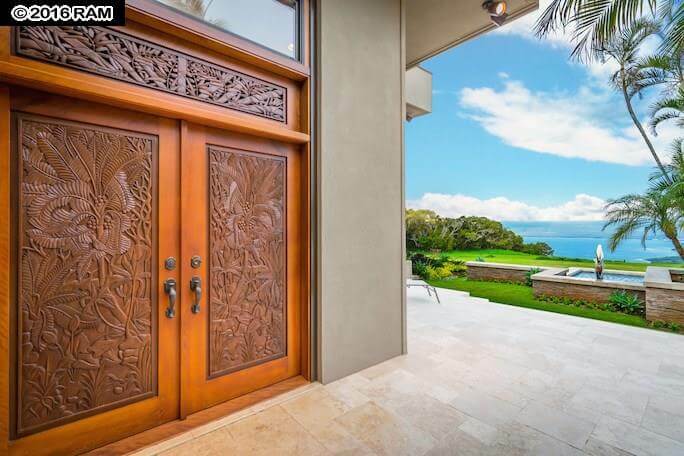 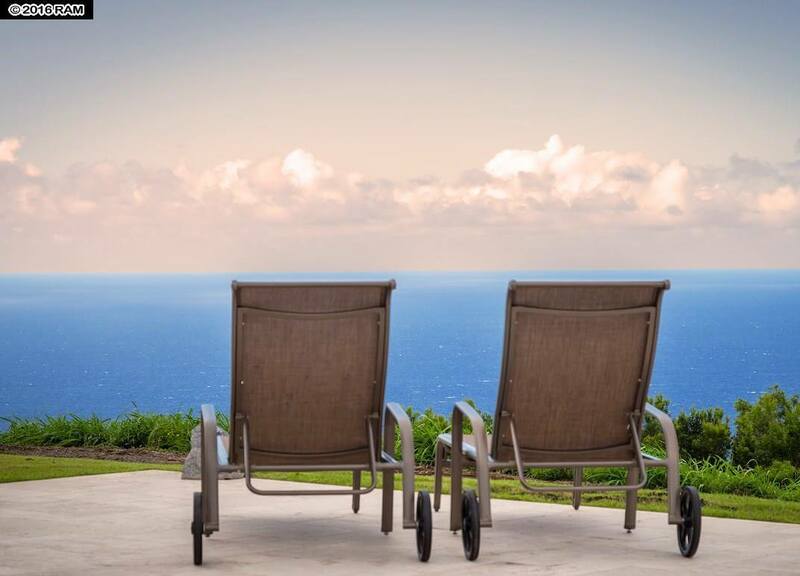 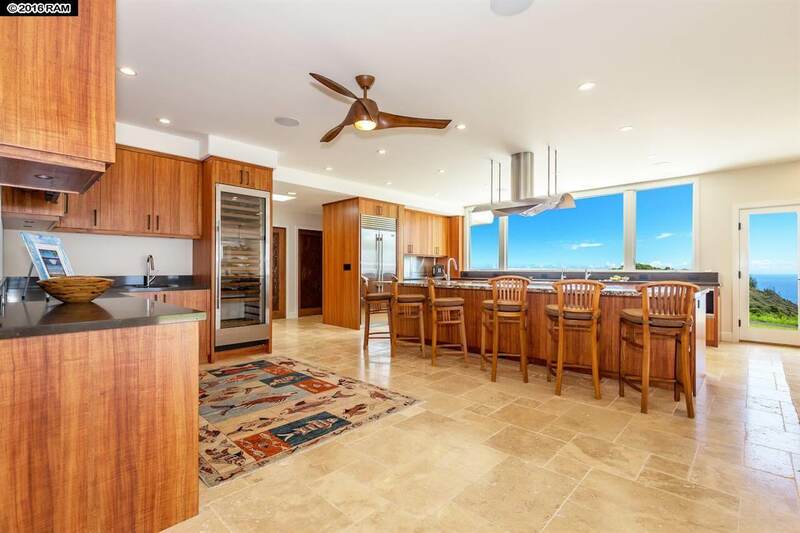 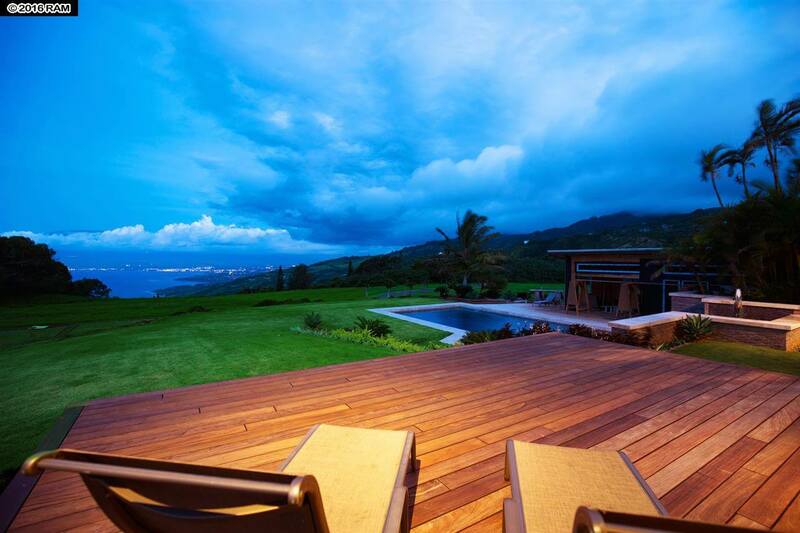 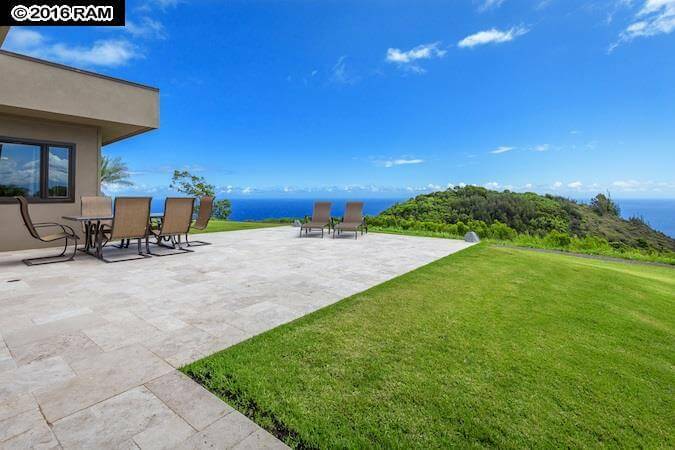 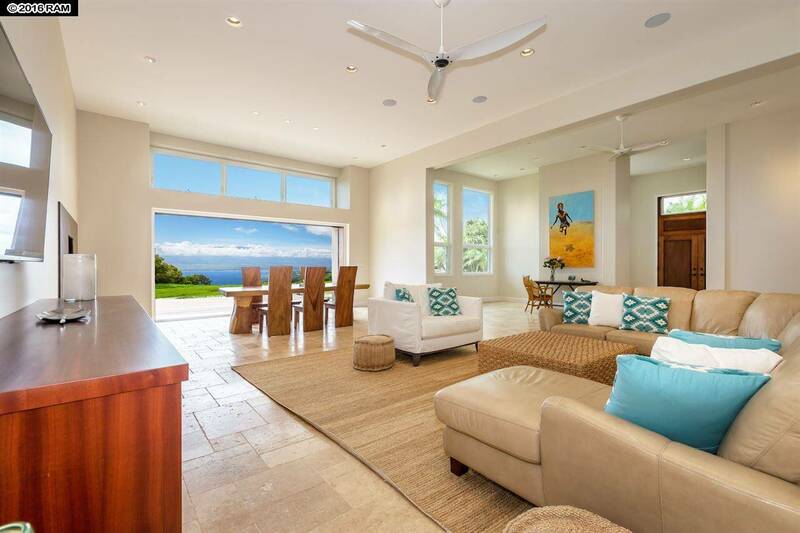 Hale Mele “House of Music” – Enjoy the tranquil, peaceful surroundings on this 51 acre estate with 360 degree views of the ocean, Island of Molokai, West Maui Mountains, Towns of Central Maui, and breathtaking sunrises over Haleakala. 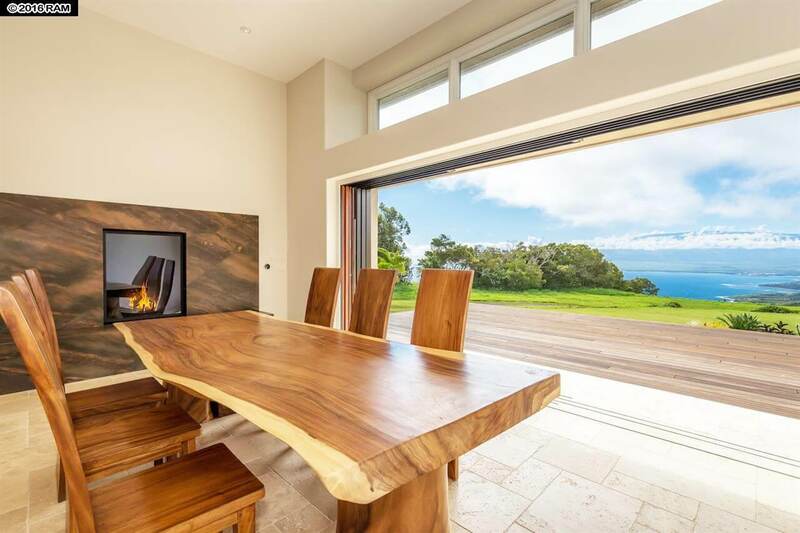 This stunning multi-million dollar remodel integrated beautiful views into the home with oversized windows and sliding pocket doors. 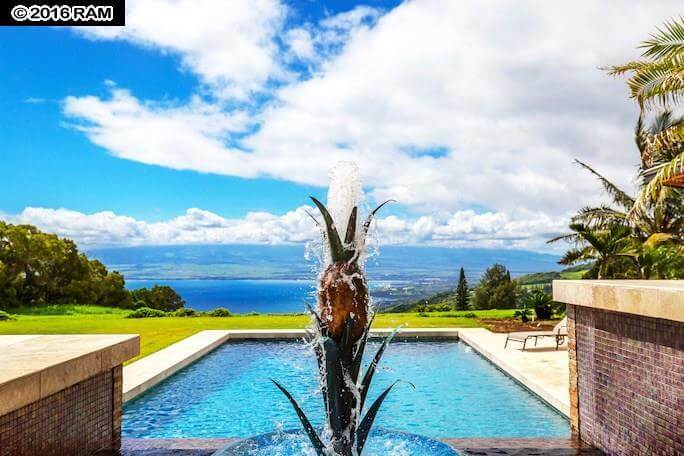 The richly stained outdoor ipe hardwood deck seamlessly connects to the great room, allowing for high-end indoor/outdoor entertaining, while enjoying the waterfall and pineapple-themed fountain next to the sparkling pool. 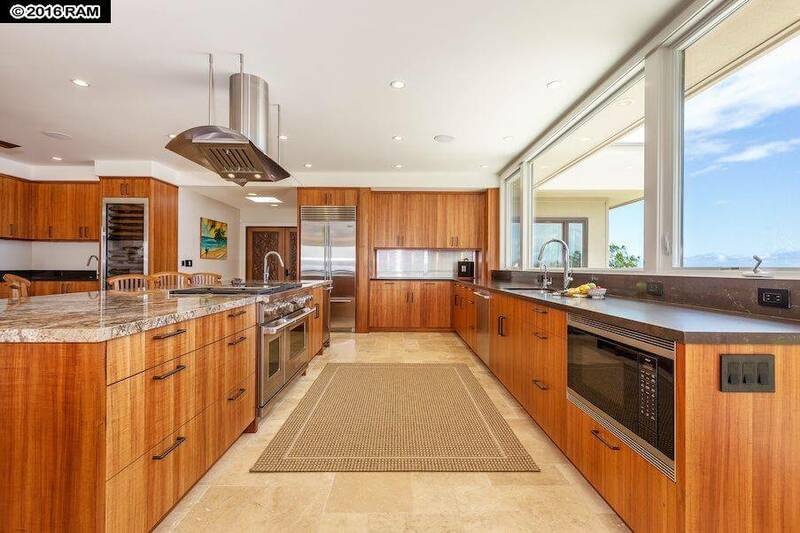 Additional features include solid ohia doors, custom koa kitchen cabinetry, Sonos system, Wolf and Sub-Zero appliances.